The phrenic nerve is a bilateral, mixed nerve that originates from the cervical nerves in the neck and descends through the thorax to innervate the diaphragm. It is the only source of motor innervation to the diaphragm and therefore plays a crucial role in breathing. 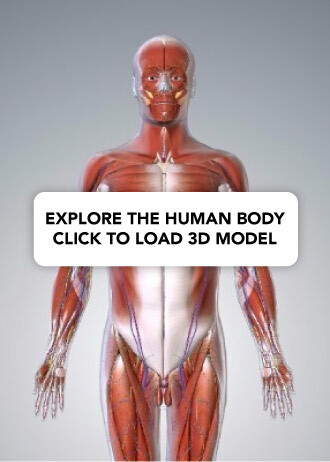 In this article, we shall look at the anatomy of the phrenic nerve – its anatomical course, motor and sensory functions. Nerve roots – anterior rami of C3, C4 and C5. Motor functions – innervates the diaphragm. Sensory functions – innervates the central part of the diaphragm, the pericardium and the mediastinal part of the parietal pleura. 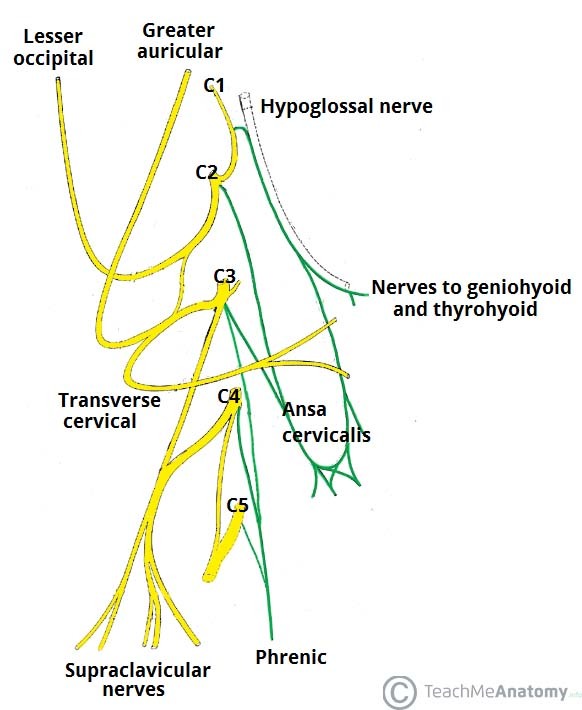 The phrenic nerve originates from cervical spinal roots C3, C4 and C5 . This can be remembered using the limerick “C3, 4 and 5 keep the diaphragm alive”. Spinal root C4 provides the main contribution, with lesser contributions from C3 and C5 and some communicating fibres from the cervical plexus. Passes anteriorly over the lateral part of the right subclavian artery. Enters the thorax via the superior thoracic aperture. Descends anteriorly along the right lung root. 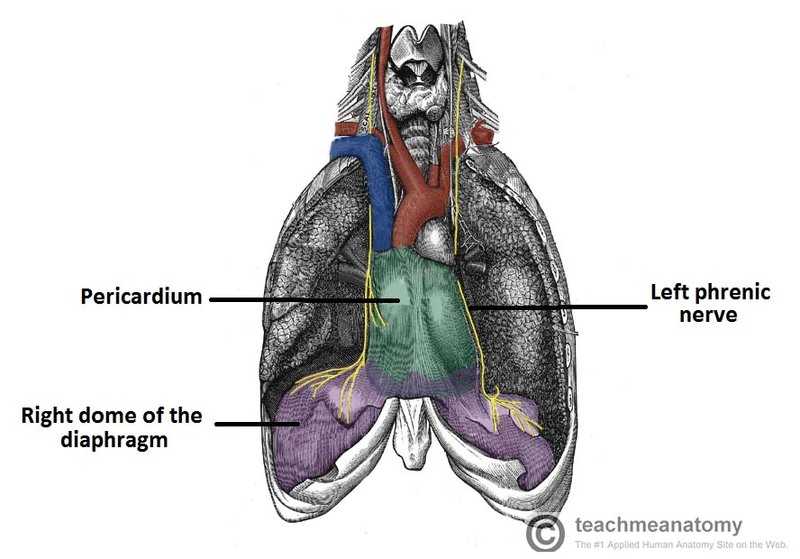 Courses along the pericardium of the right atrium of the heart. Pierces the diaphragm at the inferior vena cava opening. Innervates the inferior surface of the diaphragm. Passes anteriorly over the medial part of the left subclavian artery. Descends anterior to the left lung root. Crosses the aortic arch and bypasses the vagus nerve. Courses along the pericardium of the left ventricle. Pierces and innervates the inferior surface of the diaphragm. Fig 1 – The origin of the phrenic nerve from the anterior rami of C3,4 and 5. The phrenic nerve provides motor innervation to the diaphragm; the main muscle of respiration. As the phrenic nerve is a bilateral structure, each nerve supplies the ipsilateral side of the diaphragm (the hemi-diaphragm on the same side as itself). Sensory fibres from the phrenic nerve supply the central part of the diaphragm, including the surrounding pleura and peritoneum. The nerve also supplies sensation to the mediastinal pleura and the pericardium. Fig 2 – The anatomical course of the phrenic nerves, which innervate the diaphragm. Mechanical trauma – ligation or damage to the nerve during surgery. Compression – due to a tumour within the chest cavity. Neuropathies – such diabetic neuropathy. Paralysis of the diaphragm produces a paradoxical movement. The affected side of the diaphragm moves upwards during inspiration, and downwards during expiration. 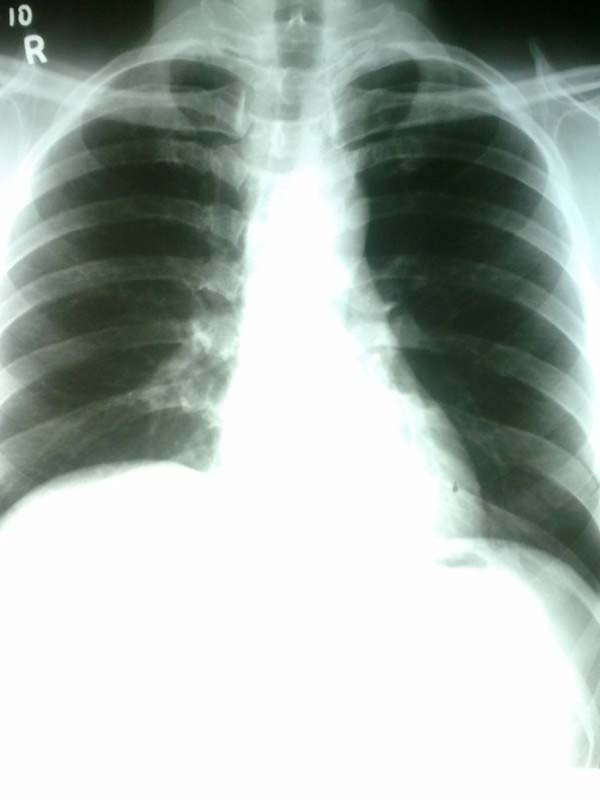 A unilateral diaphragmatic paralysis is usually asymptomatic and is most often an incidental finding on x-ray. If both sides are paralysed, the patient may experience poor exercise tolerance, orthopnoea and fatigue. Lung function tests will show a restrictive deficit. Management of diaphragmatic paralysis is two-fold. Firstly, the underlying cause must be identified and treated (if possible). The second part of treatment deals with symptomatic relief. This is usually via non-invasive ventilation, such as a CPAP (continuous positive airway pressure). Fig 3 – Chest x-ray, showing paralysis of the right hemidiaphragm. A surgeon is performing a radical neck dissection, and wishes to preserve the phrenic nerve. It is known to traverse the anterior surface of which neck muscle? Which of the following structures does NOT receive sensory innervation from the phrenic nerve? A patient is seen in ED with acute cholecystitis, which has lead to inflammation of the adjacent peritoneum. Which of the following dermatomes is the phrenic nerve MOST likely to refer the pain to?